Currently performing "Oldies from 1940's through 1970's with recorded musical accompaniment and professional amplification equipment. Styles of Music include Big Band, Jazz, Country, Rock 'n' Roll, Broadway and Gospel. 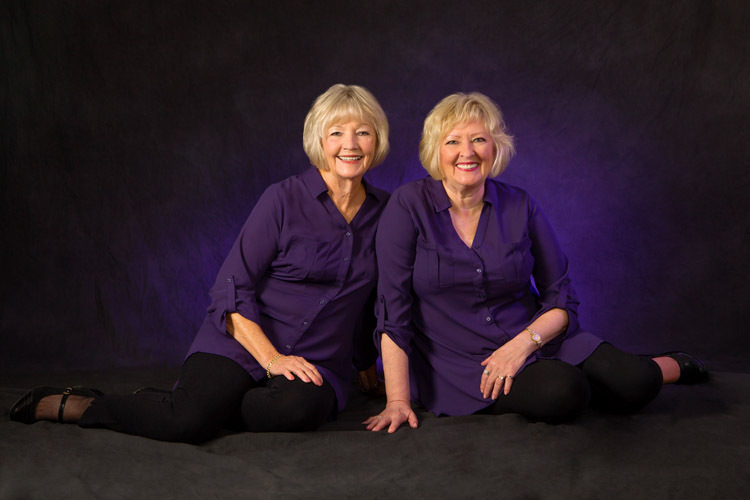 Gail and Sue performed special music in church as children and were part of a Gospel Trio called "THE HARMONETTES" As teenagers they were singers in 60's rock'n'roll & country garage bands. In 1963 they won third place in the Mid-South Youth Talent Contest. In 2013 they won First Place in the Vocal Competition of the Senior Talent Contest at the Delta Fair in Memphis, TN. In 2014 they won the Mid-South Fair Senior America Talent Contest. They have worked as background singers in recording studios, performed in community theatre stage plays, and currently sing with The Germantown Chorus. They perform for groups in Memphis and the surrounding area…at Cocktail Receptions, Luncheon Meetings, Senior Gatherings, Private Parties... Wherever people gather who enjoy music from the past. Each performance opens new opportunities. "Thank you so much for sharing your beautiful talent with us at our Senior Expo at Bellevue Baptist Church. The event was a great success and we heard glowing compliments from everyone about your performance."